Lloyds Avenue is one of the most striking streets in the City, lined with classically detailed Italianate buildings that were built in around 1900 by the Lloyds Shipping Company to house their operations. 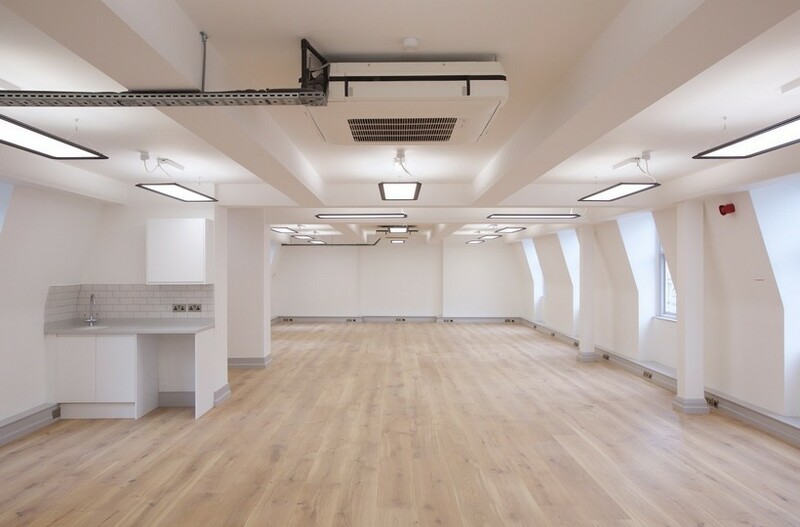 Number 6 has been recently refurbished to provide a series of contemporary workspaces that range in size from 431ft2 to 1,835ft2 and can be taken either individually or grouped to suit a variety of business setups. The interiors are finished with bright white walls and oak engineered floors, with the original iron columns and woodwork painted in a cool modern grey. The effect is a soft, elegant and versatile backdrop reminiscent of many a city fringe workspace. The specification includes Daikin air-conditioning and black-enamelled suspended lighting by Fagerhult with acrylic diffusers and side emitting LEDs for evenly luminated surfaces. The landlord is also offering a fitted option to include meeting rooms, cabling and also high gloss kitchenettes with metro tiles and corian worktops. The high quality fitout also extends to the communal areas where corridors are laid with designer Bolon flooring. Lloyds Avenue's singular architectural heritage has been designated a conservation area and is a dynamic city location. The double curve in the street and carved horizontal channeling in the masonry building facades drives the eye along the street, with the view at the northern end terminating in stunning fashion The Gherkin at 30 St Mary Axe puncturing the sky. Running between Fenchurch Street and Crutched Friars, Lloyds Avenue is within walking distance of a number of stations and transport connections with National Rail at Fenchurch Sreet, Underground at Aldgate and DLR at Tower Gateway. Average office lease lengths in London are nearly a quarter of the length that they were back in the mid-1990s. During the intervening years, occupiers have demonstrated a preference for shorter leases and this has seen the average term fall from over 20 years to the 5.6 year mark that we have today. Various factors have contributed to this not least the balance sheet treatment of lease liabilities and a desire to mitigate these by taking shorter leases. It’s also pretty rare to find a business that is planning ahead more than five years so making a commitment to your workplace for around about the same period is an alignment of strategy and resource. And, of course, most recently we have seen the impact on the market from the co-working and serviced office operators with their ‘plug-and-play’ offer which means you can walk in and take an office for a month, a week, a day or even an hour. However, behind the statistical averages in our latest London office lease analysis there are different stories to tell. For example, the length of leases taken by public sector occupiers has only fallen by 10% in the last decade compared to the London-wide average of 46%. But the average for media and tech businesses – which have driven so much office demand across the capital– is now just four years. Not surprisingly, the drop in average lease lengths is most pronounced in the sub-10,000 sq ft market which has been most impacted by the rise of co-working. These have reduced by 50% in the past 10 years, but for office requirements of over 50,000 sq ft, the leases agreed are only 25% shorter than they were a decade ago. 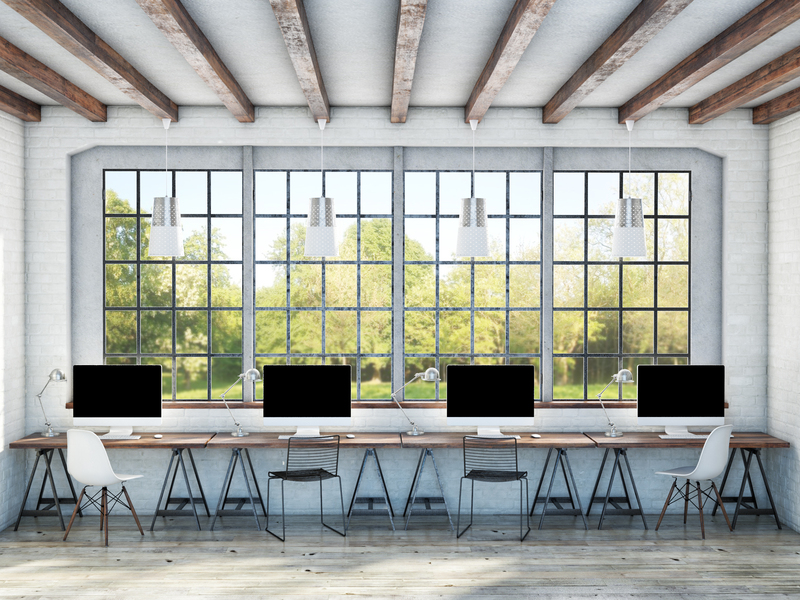 Interestingly, there is now some anecdotal evidence that occupiers who have been drawn to the super flexible, co-working environments are now returning to the ‘traditional’ market and the benefits that a conventional lease can bring. Some have found that the anonymity and lack of privacy in co-working facilities and also the penchant for providers to move their customers around their buildings to accommodate incomers is not to their liking. Will average office lease lengths in London fall further? It feels like - although there will be variations across different sectors and types of occupier - the market is now reaching a point of relative equilibrium which reconciles the needs of both occupier and office provider. Businesses clearly need flexibility and want to reduce long-term commitments but also realise that achieving this can come at an operational and financial cost. 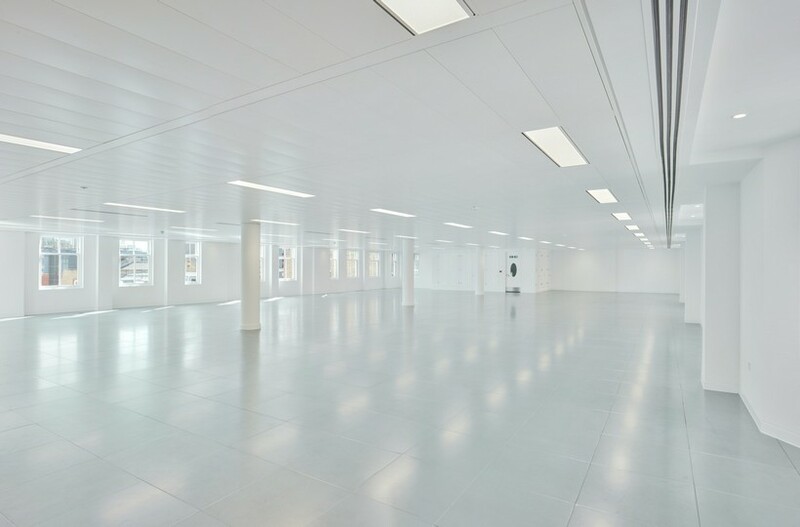 For many office occupiers, when it comes to lease lengths, less is not always more. The area around Whitecross Street is a unique corner of the city fringe. As the point where Barbican, Moorgate, Old Street and Clerkenwell meet, the mixture of city finance, independent retail, residential homes and iconic architecture adds a singular vibe to EC1’s tech and creative scene, not to mention Whitecross Street’s cracking daily street food market. Parallel to Old Street, narrow Dufferin Street runs east to west from Bunhill Road to Whitecross Street and is lined almost entirely with tall tenement buildings facing former warehouses. An example of the latter, Craftwork Studios is a formidable hunk of Victorian industrial heritage converted into media-style workspaces. Two office units ¬– one on the third floor and one on the fourth – are currently undergoing a complete refurbishment. Measuring 5,759ft2 and 4,421ft2 respectively, each has a terrific natural brightness from windows on three elevations. 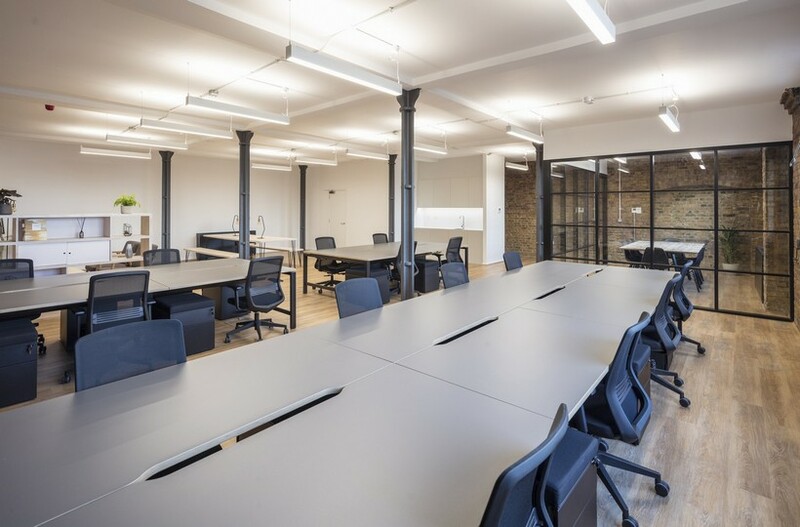 The interiors use a simple-but-highly-effective monochrome colour palette which serves to highlight the building’s original fabric, creating definitive examples of high quality City Fringe workspace. Alongside the grit-blasted brickwork, warehouse windows, steel beams and iron columns are contemporary additions of rich timber engineered floors, exposed air conditioning units and suspended LED light boxes hanging from 3 metre-high ceilings. Along with the refurbishment of the office spaces, the building’s main reception area and common part have been redesigned while other facilities include 3 passenger lifts, on-site commissionaire and secure cycle parking. Whitecross Street’s daily street food market has become one a huge local highlight and is a firm favourite with anyone living or working nearby. The unique atmosphere coupled with eats and treats from around the world is a genuine delight, matched only by the bonus of having it right outside the door. Being at the meeting point of so many adjacent districts also means excellent connectivity. Moorgate, Old Street, Barbican and Farringdon stations are all within walking distance and between them provide Underground, Thameslink and National Rail services. When the Crossrail project completes, Craftwork Studios will have two Elizabeth Line stations to choose from: either Farringdon or the Moorgate entrance to Liverpool Street. Both office units are scheduled for completion in summer 2019. We've written about this imaginatively converted Victorian wool store in Whitechapel on a number of occasions, most recently when the building reached fully let status towards the end of last year. It's an incredible reworking of the building by Helical to a design by Joe Morris Architects. We are now offering a space of 1,414ft2 on the 3rd floor that has been fitted to a high quality plug & play standard. 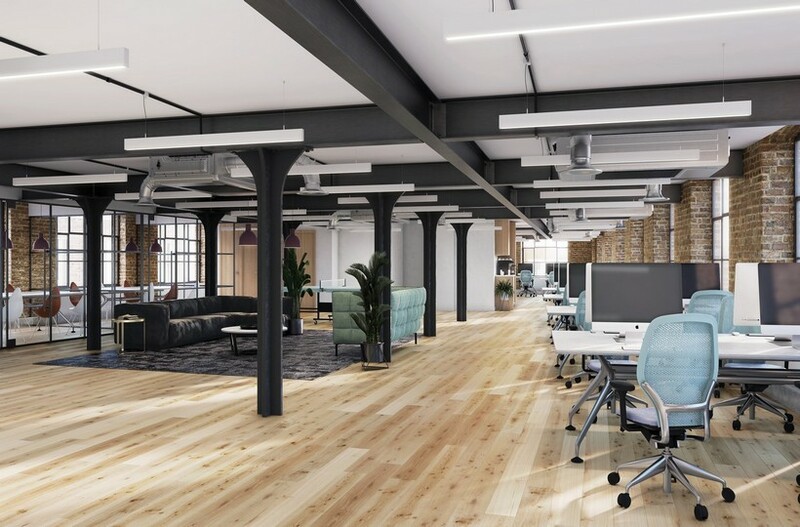 Incorporating a large open plan workspace with an integrated private office behind glazed factory-style walls, the unit is furnished with flair with slate coloured workstations, black desk chairs, and timber meeting tables, a Scandi-design breakout area and a kitchenette with Bosch appliances. The office presents as an all-inclusive solution for businesses looking to manage their cash-flow without a large capital outlay. With flexible lease terms beginning at just one year, the monthly outgoings include rent, businesses rates, service charge and building insurance. The flexibility of term also includes the ability to move spaces within the building and to expand or contract whenever is right, subject only to availability at the time. The Loom is an eye-catching and imaginative transformation of industrial-era architecture that has successfully paired the building’s original fabric with a contemporary aesthetic in a way that is remarkably simple yet strikingly effective. Grit-blasted brickwork is a running constant both inside and out and is augmented with new and old metal and timber in gun metal grey: a palette that is equally bold and restrained. 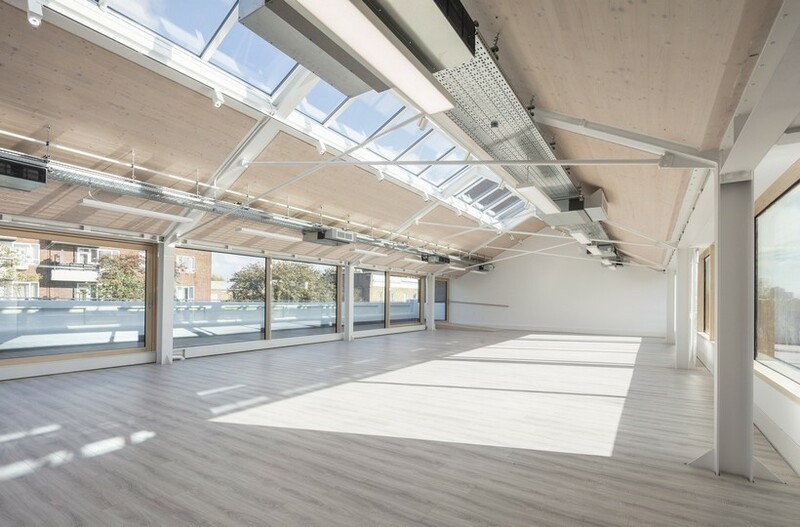 The Loom is a sociable, secure and well-equipped building with networking events and spaces for collaboration along with 24-hour security, daytime receptionist, a choice of high-speed fibre providers, cycle storage, shower facilities and lockers. Whitechapel has successfully extended the City Fringe eastwards and placed itself squarely inside as a destination location for creative enterprises. Alongside a number of renovated industrial buildings synonymous with the area’s textile industry past, new apartment buildings and multiple modern retailers, coffee shops, bars and restaurants have swiftly expanded the local scene into a comprehensive offering of new local favourites for workers and residents. While existing connectivity was already good with Whitechapel, Aldgate & Aldgate East Underground stations, things are set for a major leap forwards when Crossrail's Elizabeth Line opens later this year with up to 24 trains an hour running direct to Farringdon, Paddington, Heathrow and Reading in the west, and Canary Wharf, Abbey Wood and Romford in the east. The rejuvenated City Road corridor has really matured of late and is now a thriving quarter of retail, residential and commercial occupiers that connects two of the best scenes in London: from the terraced pavements, high street shopping and global dining scene of Islington's Upper Street, to the artisanal eateries, coffee shops and cocktail bars that populate the streets of Shoreditch. Just off City Road on Wharf Road is Waterside, a cluster of Victorian factory buildings that now offers creative workspaces in a convivial setting. The environment is deliberately engineered toward interaction between tenants, helped by a location on the banks of the Wenlock Basin: the people working here regularly sit by the quay for lunch or informal meetings. We currently have two offices to let at Waterside - one of 570ft2 on the lower ground floor and one of 668ft2 on the 1st floor - both with plenty of original fabric on show including grit-blasted brickwork and industrial crittal windows. Each interior includes new engineered oak floors, a kitchenette in white high gloss, contemporary lighting, either recessed or suspended, and self-contained WCs. The spaces are available to rent on flexible lease terms from 12 months upwards. Outside, the industrial heritage is very much on display with original brickwork, cobblestones and steel cranes alongside a modern decked terrace for occupiers to enjoy. 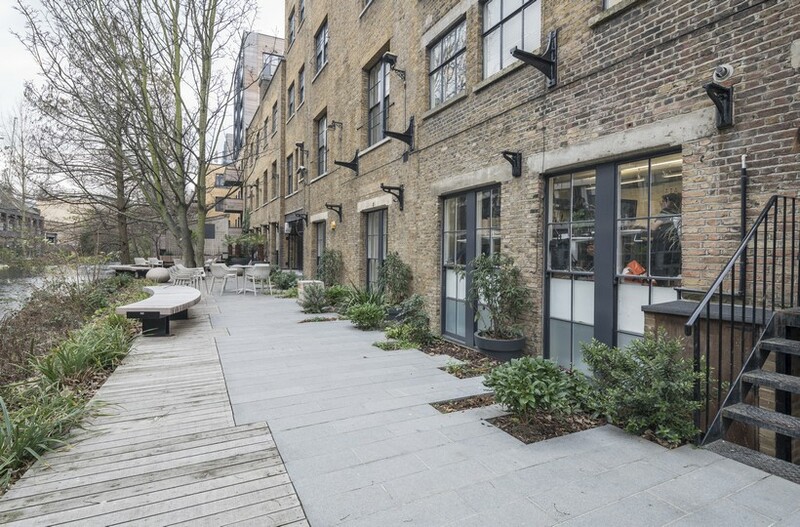 An additional treat is the on-site Pedlar cafe - something of a hidden London gem - serving coffee, cakes and sandwiches both inside and out in the courtyard. Numerous contemporary art galleries are located nearby including Victoria Miro, Artspace, Arcade, BEERS and Eight Eighty. These lend a general sense of creativity and inspiration to a neighbourhood which is about to improve yet further with the upcoming transformation of Old Street Roundabout into a new public piazza. It's also a well connected spot with Old Street and Angel stations with walking distance, plenty of buses stopping nearby and Cycle Superhighway 1 just metres from the Waterside development, where of course there is plenty of parking for bikes. Ever since London's first daily newspaper, The Daily Courant, was published in 1702, Fleet Street has been synonymous with the British press: almost every national newspaper was headquartered here for most of the 20th Century. The end of an era was signalled with News International’s move to Wapping in 1986. Although the last newspaper didn't leave until 2016, and while Fleet Street may have shed its reporters, the Mid Town location remains a bustling one as London's legal quarter. Sandwiched between the Royal Courts of Justice and the Old Bailey, the pavements still team with scurrying barristers. However, outside of law firms Fleet Street and Mid-Town were largely ignored as a potential office location, but a revival is well underway with companies from across the commercial spectrum awakening to the strategic, convenient and lively position. Saatchi & Saatchi surprised the market when they relocated their London headquarters to Chancery Lane in 2017. Dubbed an unlikely move for an advertising agency, a glance at the map shows what a canny decision it was. Connecting the fashion brands of the West End, the creative & tech scene of the City Fringe, and the financial powerhouse of the City, Mid Town is uniquely placed between them all. The western end of Fleet Street forms part of the Northbank Business Improvement District whose public realm and environmental improvements have generated over £1million in extra local revenue since 2013, and attracted some £40m in upcoming investment. Significant commercial development is also on the horizon with Freshfields and Goldman Sachs vacating their buildings and relocating. The run along Fleet Street will soon be transformed with redevelopment of Fleetbank House, 65 Fleet Street, River Court and Peterborough Court all due to be activated by the City paving the way for over 1.25million ft2 of new office space, dramatically increasing the number of people and businesses in the neighbourhood. In addition, the City intends to promote the main thoroughfare from St Paul’s Cathedral along Fleet Street by improving the quality of retailing provided, the retail environment and experience. Their focus is on encouraging new retail development and will give shops with A1 uses priority, thus enhancing the existing retail provisions. They aim to protect existing retail facilities and maintain the scattered distribution of convenient local services. Focus will also be on improving conditions and accessibility for pedestrians and encourage movement between retailers. 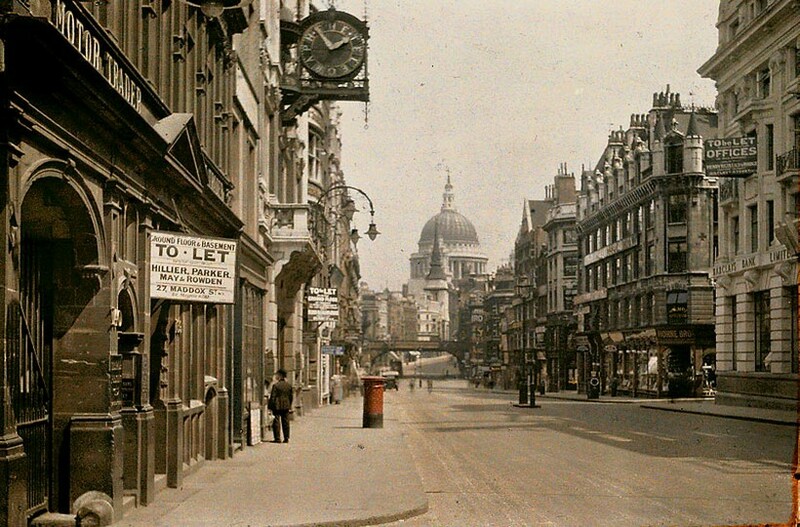 One last factor often forgotten about Fleet Street is just how close it is to the South Bank. A delightful ten-minute walk across the Thames over nearby Blackfriars Bridge, London’s cultural belt (and indeed former home of Saatchi & Saatchi) is alive with a litany of Londoners’ favourites including Tate Modern, Borough Market and the National Theatre. 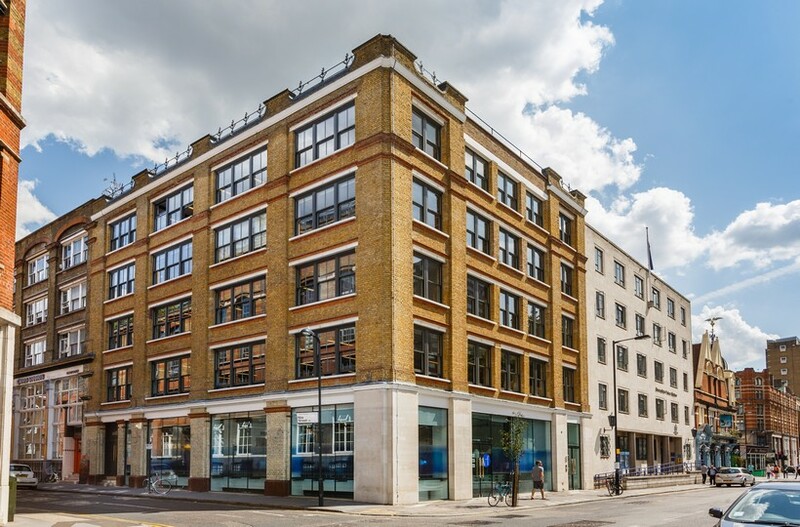 If developers or office tenants haven’t snapped up the opportunities on Fleet Street by now, they may well be too late… this street is sure to make headlines! 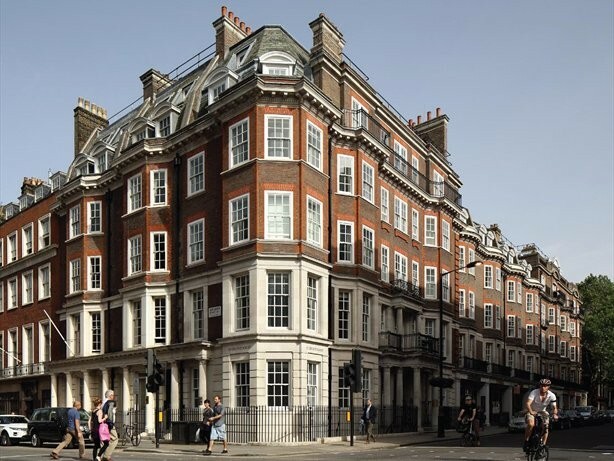 After receiving competing offers from organisations in the financial sector, we have agreed the letting of the third floor at 55 Grosvenor Street to the UK merchant bank Close Brothers on behalf of our client Capital and City. In the heart of Mayfair at the corner of Grosvenor Street and Davies Street, this newly refurbished office was always assured a high quality audience, but the securing of a blue chip company of the calibre of Close Bothers represents a particularly excellent result - and something of a coup - for both landlord and tenant alike. The space that Close Brothers have chosen for their new West End operation extends to 4,400 ft2 of comprehensively refurbished office space in an exceptional and surprising building behind a lovingly preserved Georgian facade: Portland stone, London bricks and a tall mansard roof give nothing away of the boutique office building within with facilities including a refurbished reception lobby, 2 x 9 passenger lifts, shower facilities and cycle parking. With one of the most desirable locations in London - rubbing shoulders with Claridges, Le Petit Maison and The Connaught - 55 Grosvenor Street’s blending of original character and a contemporary specification seems a perfect fit for Close Brothers: the group’s tagline, Modern Merchant Banking, neatly encapsulates the idea of an innovative operation within a long-established environment. The recent letting of Old Sorting House, N1 to one of the biggest disruptors in the medical sector - the online doctors surgery Zava - marks not only the final milestone in the building’s evolution, but also the end of a four-year journey for the Colliers City Fringe Team and their involvement with a historic piece of Islington real estate. The origins of the Old Sorting House reach back to the 1850s, when the Post Office sought new premises within the Angel area. Finding few opportunities among existing buildings, the Post Master General decided they should build their own and a walk through the vast hall provides compelling evidence as to the scope of operation provided by the Victorian-era postal service. the building’s development potential. 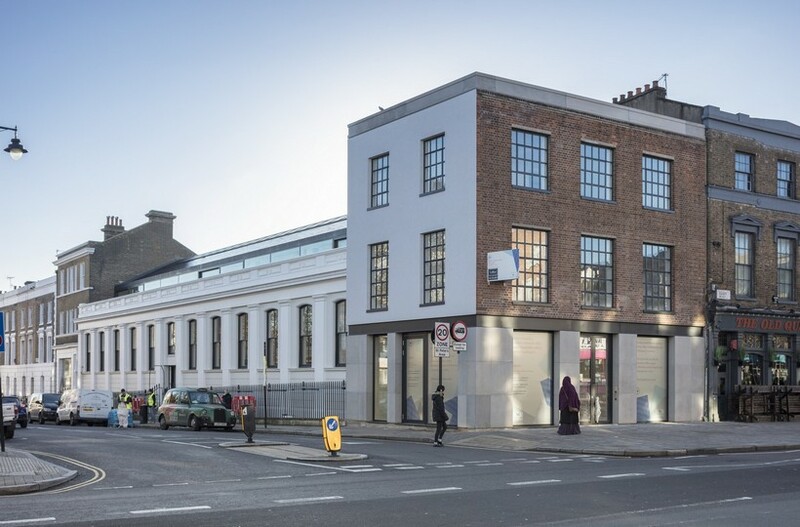 One successful planning application later and we sold the building on to Chelsea-based developer Martin’s Properties in 2016. Works then began on a comprehensive redevelopment including a brand new pitched roof, new internal floors and a new-build side extension. Completed in late 2018, Old Sorting House now houses over 20,000 Ft² of remarkable office space over four storeys, from lower ground to second floors. Working very much with the original Victorian fabric, the interiors get progressively more architectural as you ascend. 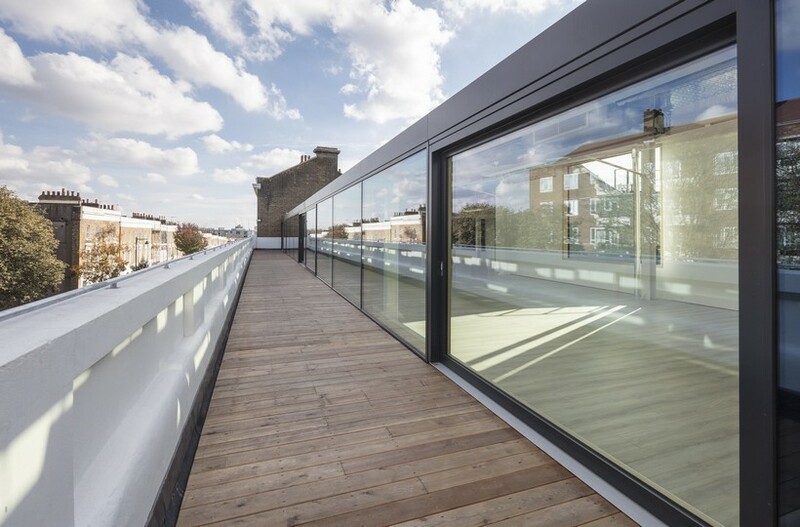 Beginning with exposed brick and sash windows at the bottom, the building culminates in an astonishing top floor with roof lights running the length of the roof apex and twin walls of glass opening out to spacious terraces. It's a truly extraordinary space for a business to occupy, and the let to Zava matches the shared innovative cultures of developer and tenant. Zava has swiftly grown to become the largest digital healthcare provider in Europe, dispensing over 2 million treatments since 2011. Headquartered in London, Zava operates in six different markets - the UK, France, Germany, Switzerland, Austria and Ireland. Already based in Angel for some time, Zava was keen to find a new home nearby to carry out its expansion plans with minimal disruption to the commutes or local familiarity of the workforce. Old Sorting House was the perfect candidate. 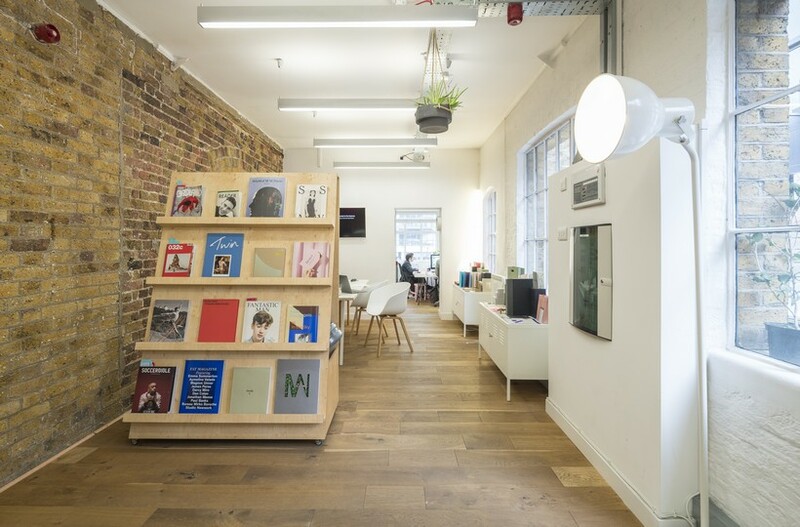 If you’re looking for a list of authentic loft essentials in your next choice of workspace, the interiors at 8 Shepherdess Walk have everything required to achieve the quintessential urban office. Grit blasted brick walls: check. Raw timber beams: check. Chunky iron pillars: check. Huge warehouse windows across three elevations: that too. And there’s a whole host of contemporary touches as well with air conditioning ducts and services running overhead in galvanised metal troughs; ceiling mounted LED lighting with exposed conduit; power sockets recessed into the floor and a good size full kitchen with cupboards in white high gloss and woodblock surfaces. Ostensibly open plan, this first floor space extends to 2,846 ft2 and also features in-situ meeting rooms as part of the fit out. Facilities within the building include a passenger lift, showers and male & female WCs. 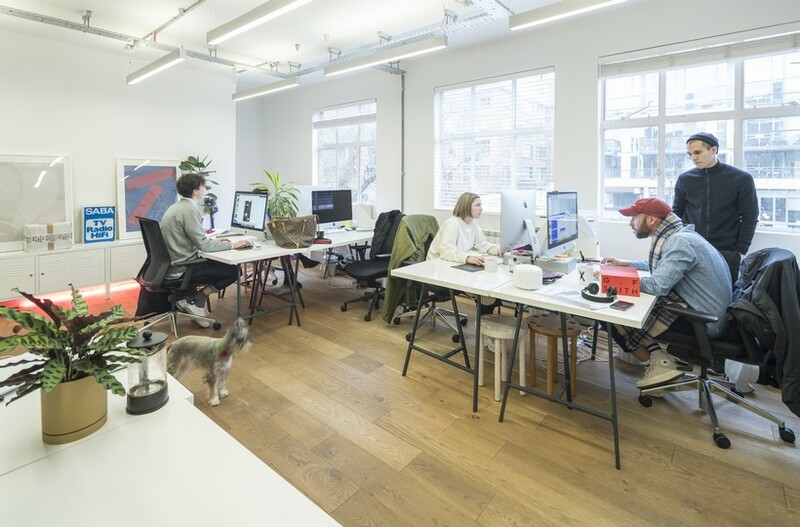 Shepherdess Walk maintains a special place in renaissance of Shoreditch and the City Fringe as one of the original streets that saw warehouse workspaces first take hold and that really put Hoxton on the map as a place to live, work and play. The location is just 5 minutes walk from Old Street roundabout where Underground, National Rail and bus services connect to much of London, making this an easy place to get to and from with Clerkenwell, The City, West End, Islington and Kings Cross all readily accessible. The collection of places to eat and drink in the vicinity is now legendary with food from all around the world, creative cocktails, craft beer, gourmet coffee and almost every type of breakfast, brunch, lunch and dinner available. The daily street market at Whitecross Street is a real favourite among workers and locals, while the new retail and restaurant boulevard at The Bower has become an instant hit. The area in London’s Camden around the Regents Canal has for many years been associated with creativity and independent thinking. Camden Lock Market is renowned for its eclectic mix of fashion and food. Channel 4 was born at ‘egg cup house’ on the canal and broke the mould of TV in the UK, while legendary music venue, Dingwalls, was one of the crucibles of punk rock. 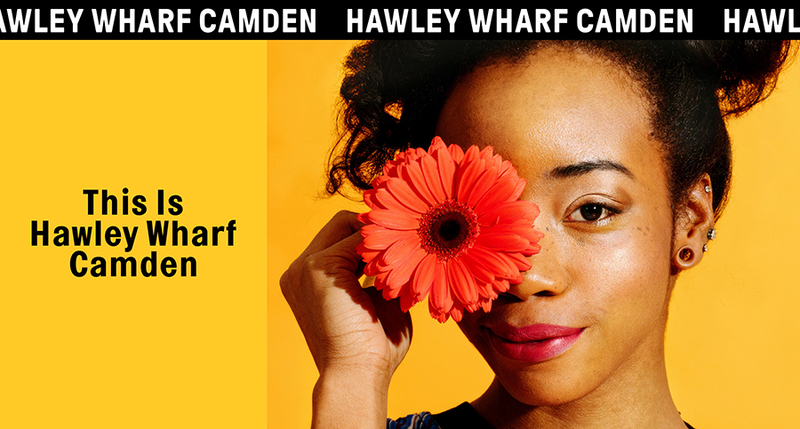 Now, Labtech is planning a suitably revolutionary new market destination for shopping, eating, living and working at Hawley Wharf Camden. This extraordinary scheme comprises 150 stores, three rooftop restaurants, more than 60 new places to eat and drink together with 60,000 sq ft of LABS co-working space and 200+ apartments. There are already about 28m people who visit the Camden Lock area each year, but a large proportion of those are tourists. With Hawley Wharf, Labtech want to create a destination that will also draw Londoners again and again. The retail and F&B emphasis will be on originality and freshness. The developers are extending this ‘thinking outside the box’ to the lease terms which it’s envisaged will comprise a minimal or no base rent with the majority of the rental income being linked to the retailer’s turnover in the store. This is extremely attractive to start-ups and brands exploring new markets as it minimises their financial risk of taking a shop. Conversely, if they end up trading tremendously well, it provides enhanced income for Labtech. This alignment of interests between property provider and occupier will become increasingly commonplace in the retail and F&B sectors and the Hawley Wharf project will be a fascinating test bed for this – as well as creating a brilliant new destination in London.